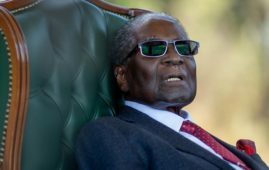 It seems Pan Afrikanism has found a new host after Robert Mugabe , the only remaining Pan Afrikanist had been exorcised from power through a military takeover in November 2017. Julius Malema, addressing thousands of EFF supporters at the election Manifesto Launch in Soshanguve, Tswane on Saturday sounded like a reincarnated Kwame Nkurumah . One would think that his exposure to the Pan Afrikan Parliament must have twisted his ideology and brought out new revelations that are of a different paradigm shift from that of the ANC and DA. Unlike his competition, Julius Malema came with a global view rather than a localised view of politics, economic and social prosperity. Malema emplored South Africans to view themselves as members of a global village and not to continue towing the line of isolationist policy under the pretext of delusional sustainable economic prosperity. He echoed Mummar Gadhaffi’s idea of a borderless Africa, where all Africans viewed each other as partners and brother rather than enemies, if Africa and South Africa is to progress economically. Malema castigated the xenophobic attacks on fellow African nationalities. He called to order all the perpetrators of the violence stating that fellow African are not the enemies since Africans are one people. He said that boarders that separate African nations are a creation of the imperialists and hence should not be the parameters that divide a people. Malema seems to be enlightening the South African population that their anger is misdirected when they attack fellow Africans as the true cause of their misery is the imperialists or in simpler terms the whites because unlike other politicians he simply called for the unity of Africans but ignored the rhetoric of a rainbow nation. One would think that Malema is trying to lure the votes of foreign nationalities in South Africa, but, then you would also ask yourself the question of their proportion and their ability to vote in South Africa versus the risk of losing South African hardliner supporters who detest immigrants. Neverthless all these remarks were received with applauses that took over the arena. It seems Julius Malema decided to take the route less travelled as his competitors are all preaching immigration control and deportation of immigrants. I have always thought of Julius Malema as a Mugabe internee and I think the internee is about to graduate now. 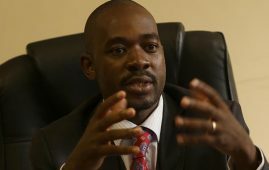 He could not make all his remarks and fail to address the Zimbabwean situation which he is particularly fond of from the beginning of his political career. Julius Malema called the Zimbabwean government to order particularly President E.D.Mnangagwa whom he called to respect democracy which does not simply mean elections, but respect for Human Rights. He said this in light of the recent violent military crackdown on the protesters that happened in Zimbabwe between the 14-16 January 2019. Other than calling the government to order, Malema also pledged that the EFF would help Zimbabwe fight of the control of the imperialists and to assist Zimbabwe regain its economic footing and ultimately its currency. Malema has also been out, guns blazing, on Zimbabwean government over its violation of Human Rights and called for the political parties to institute dialogue to fix the Zimbabwean crisis. 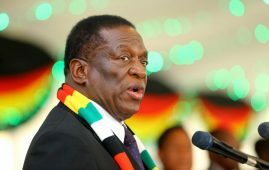 He asked South Africans to receive Zimbabweans well as they are suffering in their country that they are running from, hence they cannot continue to suffer in the country that they have taken refuge in. Malema’s address was full of sympathy for the struggles that African Nations are going through. Still on Pan Afrikanism, Julius Malema took Mugabe’s voice, lashing at the global imperialism of the West and called for the end of their dominance over African nations. He stated that Africa should enter relations where all nations are viewed as equals. Further to that, he also called for beneficiation and value addition on the resources of Africa instead of the continent exporting undervalued raw materials. All Pan Africanists have always held the same thinking that Africa is being short changed because it sells raw materials instead of finished products, hence Africa needs to industrialise and produce finished products for African and global markets instead of simply selling raw materials. Noble as it may sound, Malema’s call falls on deaf ears as many African Governments do not invest in technological developments hence our perpetual reliance on Europe and the West’s Technology. Beneficiation and value addition remain elusive to the continent. 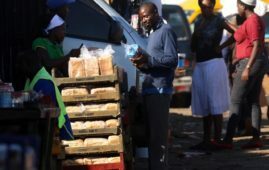 The continent continues to trade raw materials for either money, which ends up in the pockets of unscrupulous politicians, or for Western technology whose owners call the shots at the market. Security reforms were also addressed. He called for the inclusion of African Nations into the United Nations Security Council as permanent members in order for African countries to be protected from bullying by the big powers. For some time now, the Security Council has always been viewed with suspicion as many a times they do not intervene when the situation is not in their interest, for instance, the Rwandan Genocide. The Security Council and the International Criminal Court have, in many instances, looked like a court of hawks presiding over chickens. Malema called for the empowerment of African Union conflict resolution organs to take care of African conflicts. He also called for the end of American Military Command Centres in Africa, hence called for the isolation of Botswana by all African Nations because of its housing of the American Command Centre. In pursuit of democracy, Malema called for the isolation of Swaziland and the King until they conform to democratic principles. Swaziland is still ruled by a despotic monarchy up to date and democracy is alien to them, hence Malema is out to sanction the nation until it embraces democracy. He also pledged support for Lesotho that he said EFF would help to regain stability. Malema came out like a black Father Christmas, with everything for everyone locally and abroad. In his manifesto he did not depart from his radical economic transformation stance that he has always held. He did not forget the plight of his people hence he demanded for the appropriation of land urgently and demanded that jobs for the youths be provided for with urgent effect instead of waiting for 2030. A clear understanding of the demographics of the EFF party will point to the fact that it is composed of the underpaid working class and unemployed youths, hence the name Economic Freedom Fighters. Therefore this stance resonates well with his people and the general black South African population. Malema took a dive to fight against labour exploitation by the white capitalists, calling for a National Minimum Wage of R3500 for all workers in South Africa. 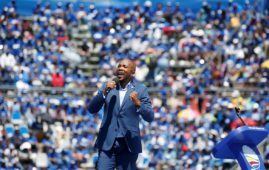 He called for the betterment of living conditions of South Africans, castigating the corruption of the ANC government that he blames for the rot in South Africa. 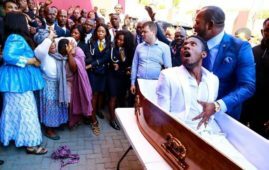 He also called for the protection of minority groups in South Africa such as the homosexuals who are being beaten and murdered. 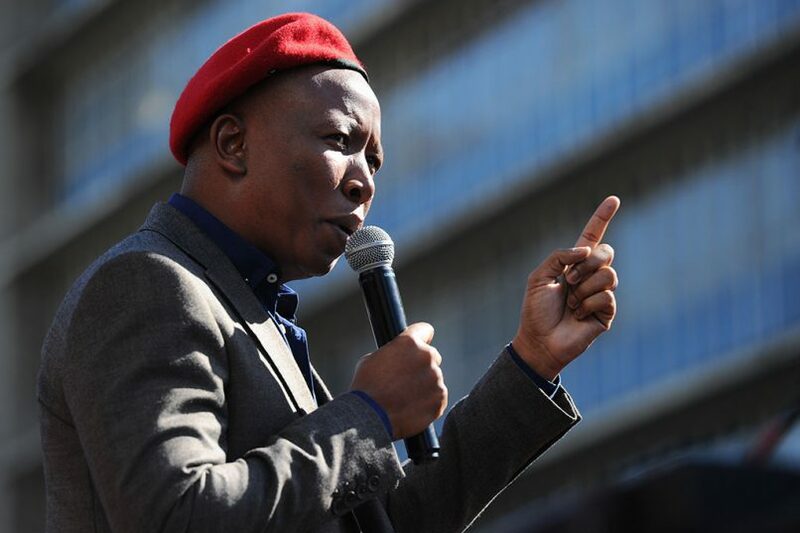 Malema’s manifesto can arguably be the best presented manifesto in South Africa for the 2019 election as his competitors continued with their perpetual rhetoric. Will the manifesto sway the votes in EFF’s favour? That is a question for another day.